Brampton Laminate Floors – Low Price Flooring Ontario Canada. Affordable Durable Flooring Solution in Brampton. We carry Hardwood, Laminate, Cork, Bamboo & Tiles. Technology gets all the credit for laminates claiming their place among one of the most popular types of flooring on the market today. The variations in colours, textures, plank format, that technology makes possible, keeps laminates in running with the latest trends in hard wood and engineered hardwood flooring. 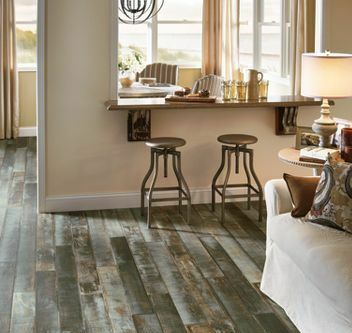 We know this trend is here to stay (see our blog on rustic hardwood ), so you can’t go wrong with this style of flooring. Planks that have saw marks and/or the rich texture of hand scraped wood adds character and warmth to any room. The colours, styles, and plank sizes available give flexibility for designing the exact look you are going for! 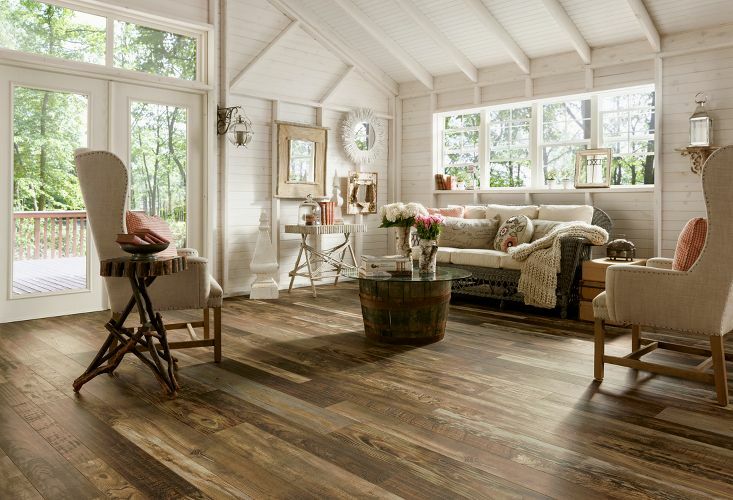 The breathtaking beauty of exotic woods are captured in laminate flooring as well. The unique wood grain patterns and shades of colour that make these tropical species distinctive and quite frankly stunning are carefully crafted in laminate flooring products, giving any room that wow factor and unique style. 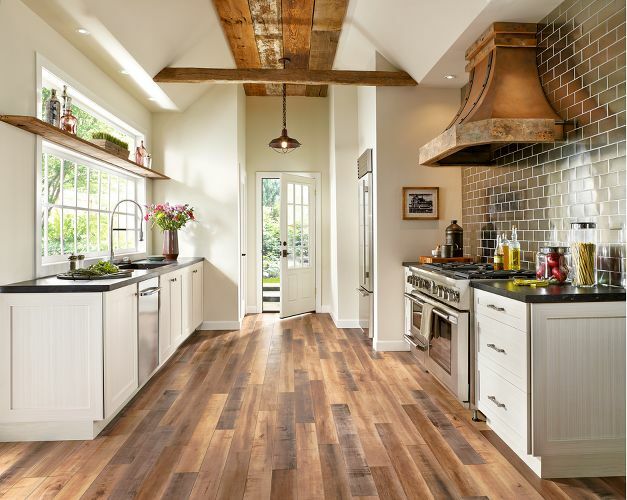 This popular flooring, inspired by the movement towards environmental responsibility, repurposes wood from old barns, warehouses, homesteads, and even from canals! Laminates are designed to highlight the appeal of this wood that has stood the test of the time, exposing the warm hues of colour and the feel of wood shaped through practical use over time. Again, the variety of plank widths and lengths, contributes to the natural look of this style of flooring. 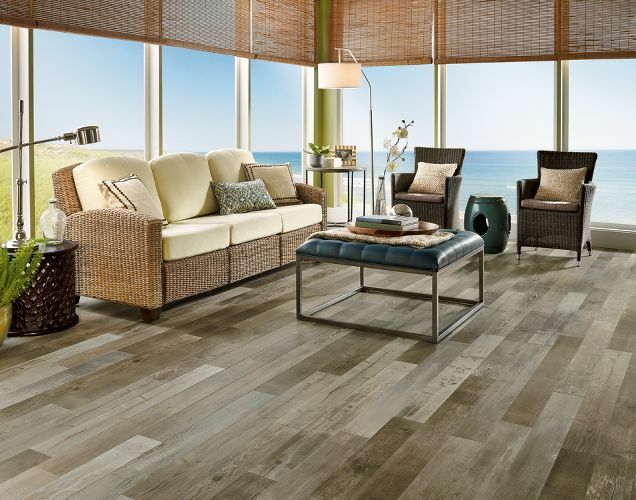 The best way to describe this type of flooring is to imagine the beauty and complexity of driftwood. Exposure to the sun and sea and layers of wood are gently exposed revealing subtle depths of colour. This type of flooring can give a room both that beach house feel as well as sophistication and elegance – a truly versatile choice! Learn more about the benefits of laminate flooring and check out just a few of our laminate flooring products! Visit Décor Floors in Toronto, Bramptom, and Mississauga and see for yourself what the wide world of laminates has to offer your home. Our sales experts can be trusted to help you learn everything you need to know to make the perfect choice for your next flooring project! Looking for flooring for your business or office space?